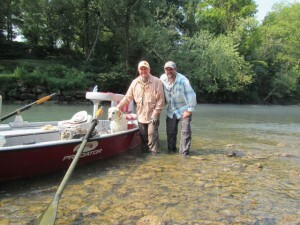 We had a great weekend fly fishing the Little Red River with Trent and good friends Tom Gazaway and Paul Broddick. The water was great and the weather felt like fall. We had Trent’s predator skiff on the water and everyone caught lots of fat sassy Rainbows. Fishing a section of the upper river on Saturday the fly really did not seem to matter just a good dead drift got a hook up. Flys included #14 RG/PT Cruiser, Copper Pheasant Tails and Born’s Hairy Legged Sowbug. 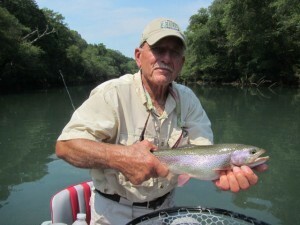 On Sunday with some fog and higher water on the lower river we started the day on streamers and as you can see from the photos some better Rainbows were brought to the net. 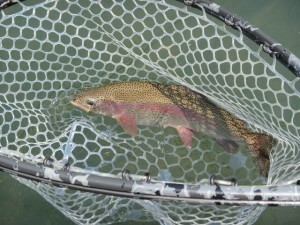 There were also a couple of pretty big Brown Trout turned but not netted. Later in morning the fog lifted and some March Brown Mayflys started to hatch and fish really keyed on the emergers. 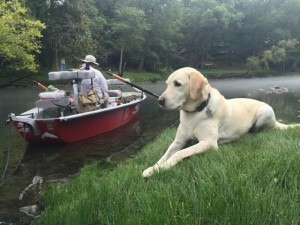 It did not matter if the fly was dead drifted, swung or stripped the result was a hooked fish.